The Feds made the fateful decision in December 2015 to hike interest rates for the first time since 2006 from historic lows of 0.25% to 0.5%. Fed Chairwoman Janet Yellen has said that the central bank would gradually raise the rates in coming years. It indicates US economic recovery from global meltdown and full employment that would eventually give rise to excess demand, inflation, and an overheated economy. Hence, if the timing is right, the result is a balanced supply and demand, price stabilization and full employment without an increase in inflation. They also influence the interest rate banks pay to savers and charge the borrowers. Borrowers: There is a concern among household borrowers and companies that because this monetary tightening makes money more expensive the mortgages, auto loans and the cost of borrowing are expected to increase. But most American families borrow on fixed rates implying that the impact will not be immediate. If it is any consolation, it could take months and years for the changes to happen. The impact will be most apparent on variable-rate debts with large balances and benchmark-rates-pegged-loans because of its inherent long-term nature. The Fed’s interest rate hike is a good indicator of an economy in its recovery path, and it is this healthy economy coupled with the fact that people are working that ultimately gets people to spend money on houses, cars, and other things. Hence, it is uncertain if the rate hike will cause spending to slow down. So the effect of a single quarter-point hike is practically negligible on the household budget. The only bitter pill to swallow is that the wage growth may not pick up anytime soon. 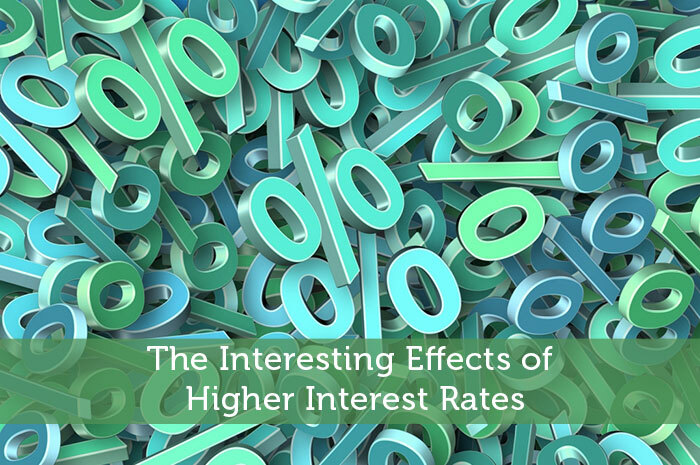 It is the cumulative effect of steady interest rate increases over time that slows down the economy that is going to spell trouble for borrowers. Borrowers are advised to “stress test” budgets to check how far along they can still make repayments as interest rates rise. Savers: The savers benefit because interest rates on their stashes and investments are likely to increase. But if the rates are still below the inflation then they will lose out, because the higher prices will ultimately erode the value of their monies. Moreover, the upward move could also be transmitted to a broad range of other interest rates such as car loans, mortgages, and credit cards, which would make them more expensive. As far as retirees and those who rely on revenue from lending money are concerned, the near-zero interest rates have decimated their income for years. Although the Fed’s recent announcement can come as a sigh of relief, there are a couple of headwinds to that. Banks are already sitting on a lot of deposits. They are likely to hold the rates they pay on CDs and other deposits steady but raise the rates charged on loans, just so that they have a healthier margin. So the pace at which they raise interest rates will be even more gradual than the Feds. Therefore, there may be a few lucrative opportunities for retirees to find those financial institutions that are inclined to pay the most competitive returns. Credit unions, community banks, and the top-yielding online banks are among such institutions. There is no consensus for raising rates to lower inflation. On the one hand raising rates can harm growth without curbing inflation and on the other hand higher rates are needed to prevent rises in prices causing a vicious cycle that pushes inflation out of control. Monetary policy when done in series of small steps can minimize the risk of “overshoots” because the transmission mechanism between the rate of growth and interest rates can change over time. The business magazine Economist counsels patience and reckons that the rate raise was too soon. If it is so, recovery could slow down or even stall leading to higher unemployment. However, the inflation hawks do not agree with that assessment. They rather too soon than too late thus they are avoiding the risk of inflation. So it remains to be seen how the battle gets resolved.